Power BI began in 2006 as a secret project at Microsoft under the code name “Gemini” and under the watchful eye of a guy named Amir Netz. Project “Gemini” basically took the power of SQL Server Analysis Services (SSAS) and made it available as an in-memory engine. In 2009, “Gemini” was renamed “Power Pivot” and released as a free Excel add-in from Microsoft. I remember seeing some promotional material about it back then, but I discounted it because I didn’t consider Excel to be a “real” reporting solution. I had no idea what Power Pivot was and I considered it to be just another Excel add-in. In 2010, Power Pivot began to gain traction with the help of Rob Collie’s PowerPivotPro.com blog because he targeted the huge population of Excel people, not the much smaller population of SQL Server people. As Power Pivot gained popularity, Microsoft took notice and began to invest more in this area. In 2012, Power View was released as part of SharePoint. This was Microsoft’s attempt to compete with the amazing visualizations offered by Tableau, but Power View was never really that great in my opinion. In early 2013, Data Explorer was released. As with Power Pivot, it was made available as an Excel add-in. Later in 2013, “Data Explorer” was renamed “Power Query”. The goal of Power Query was to make it easier to access data and bring it into Power Pivot. Having Power Query and Power Pivot available as Excel add-ins made them accessible, but there was a problem. You could build something amazing, but then you had to email your (sometimes very large) Excel file to anyone who wanted to use it. There was also the problem of not being able to automatically schedule the data to refresh. It was possible to install Power Pivot together with Microsoft SharePoint to create a central place for your Power Pivot work and to get the ability to automatically refresh your data. But getting it to work was very difficult and some even suggested that successful installations required some amount black magic. 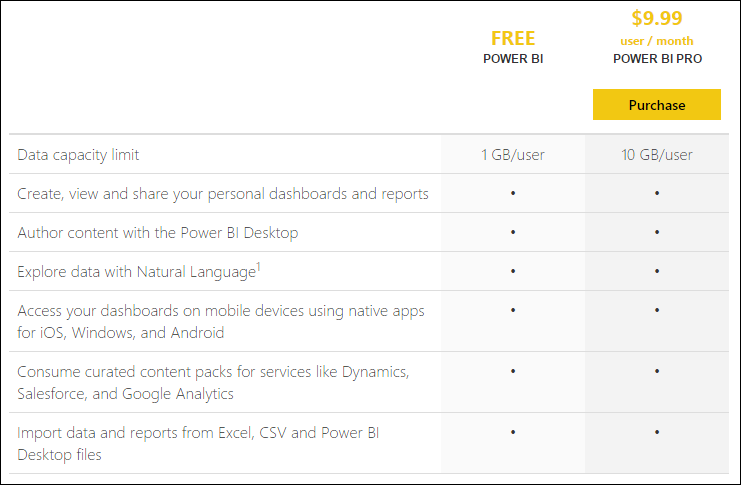 In January 2015, Microsoft announced a new Power BI service that could be accessed at PowerBI.com. Power BI was a phrase that was being used to describe the complicated Power Pivot / SharePoint solution, but after this announcement the term “Power BI” became synonymous with PowerBI.com. Although PowerBI.com was only in preview mode, over 500,000 people jumped on board to test it and help shape its future. The development team employed a “rapid development” cycle that resulted in a dizzying array of new features and product announcements during a six month span. I personally wonder if they all slept at the office and drank A LOT of coffee during this time. In July 2015 (just last month), PowerBI.com exited the “Preview” phase and entered “General Availability”. 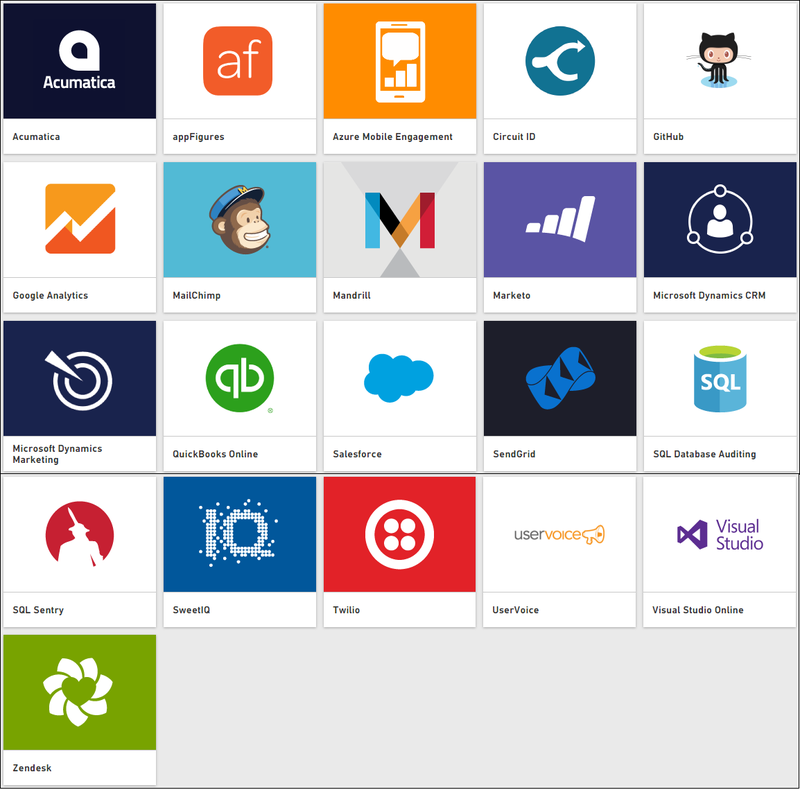 Power BI is a SaaS solution that delivers information to your web browser and to your phone, just like Acumatica. Bottom line, Power BI is not some new, untested thing. It has been in the making for the past 10 years. Also, it stands on the shoulders of one of the most widely used OLAP/Cube software products in the world (Microsoft SQL Server Analysis Services) and the most popular BI software on the planet (Microsoft Excel). Ok, so back to the topic at hand here. Data is everywhere these days. It’s scattered all over your organization in every department. This is what I call the “data cow”. If you try to eat the whole cow, you will regret it. The cow needs to be processed into a “data steak” so that you can actually eat it and digest it. Traditionally, reports consisted of big stacks of paper with lots of detailed information and a little bit of summary information. In the old-fashioned world of paper, you had to print all of the detailed information if you wanted people to believe your summary numbers. Nowadays we consume information on computers, tablets, phones, and even watches. The big advantage to doing this is that our “reports” can now respond to us. Our reports are now interactive. So, our reports don’t have to show all the information at once. They can show a summarized version and you can choose what specifically you want to see more about by clicking on a section to “drill into” more data. Report interactivity makes data more like a steak and less like a cow. Another thing we have learned is that most people understand pictures better than numbers. Numbers are great, but they are like little isolated islands. When you have a lot of numbers staring at you, it’s very difficult to quickly determine how they are all related to each other. Pictures allow us to see the “forest”, not just the individual “trees”. Data Visualizations – A data ice cream sundae with artistic sprinkles on top. Hmmm, first a steak metaphor and now an ice cream one. I must be hungry while writing this post. Infographics are more of an artistic expression with data skillfully woven throughout. Data visualizations are more of a data foundation with a pre-fab artistic element layered on top. Power BI is used to make Data Visualizations, not Infographics. 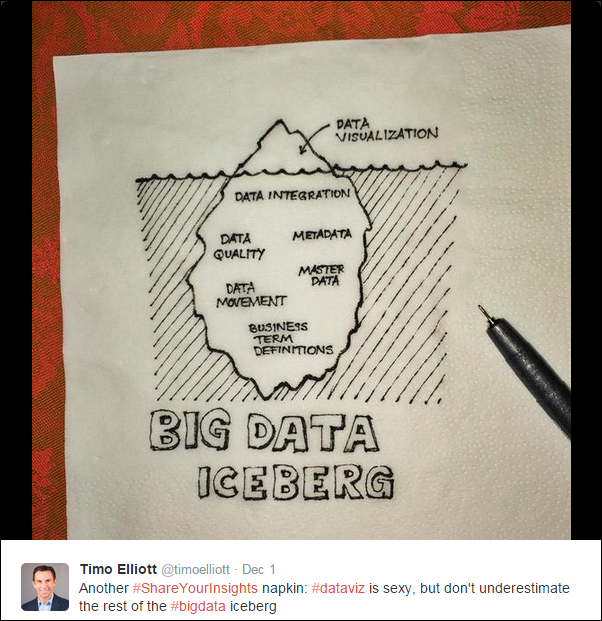 You can’t say “Data Visualization” without saying Tableau in the same sentence. 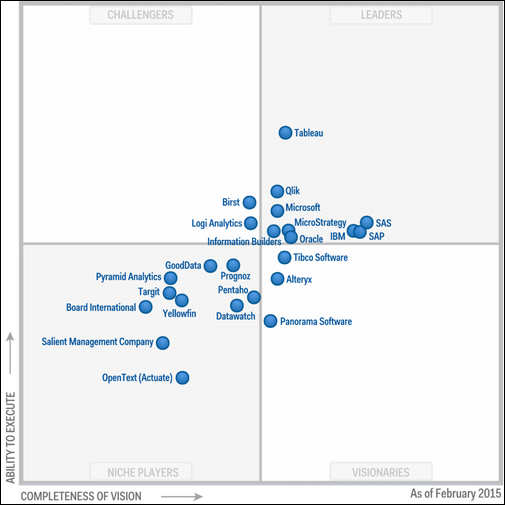 Tableau is the king when it comes to data visualization. The idea for Tableau started in the Finance department of Pixar where some smart people realized that pictures are understood better than numbers. I have talked to many people who use Tableau and they love it. It does a great job of allowing people to explore their data easily and produce reports that can be understood quickly. The primary strength of Tableau is visualizations, but in recent versions they have begun to build a robust calculation engine into the product. Tableau is very popular among “big data” people who use it to visually represent massive amounts of data in a visually appealing way. Typically the calculations are done outside of Tableau in a language called R and Tableau just handles the visualization piece. Another thing to note about Tableau is that it can easily cost tens of thousands of dollars to implement it in your organization. But many companies obviously think the cost is worth it as evidenced by Tableau’s grown over the past few years. I completely agree, especially when you consider that a modern successful company (Google, Apple, Uber, AirBnb, etc.) is essentially a data company. A better understanding of your data can easily lead to millions of dollars in profit, totally justifying the Tableau price tag. Here is what the Tableau stock price has looked like since the company went public in May 2013. Interestingly enough, the price has been dropping ever since Power BI officially launched last month. Not wanting to miss out on the hugely popular area of Data Visualization, Microsoft introduced Power BI as a way to compete with Tableau. But there is a key difference between these products and you can see it in their history. Whereas Tableau started with the Visualization Engine and is working backwards to the Calculation Engine, Power BI started with the Calculation Engine and is working forwards to the Visualization Engine. Visualizations are very important, but the Calculation Engine is where most of the work takes place. Power BI already built the Calculation Engine and they did an amazing job, drawing upon the incredible experience of the database team at Microsoft. However, the Data Visualization piece still has a ways to go. One interesting thing about how Power BI is approaching Data Visualization is something called D3.js. The interesting thing is that the visualizations in Power BI are built on D3.js (click here) and Microsoft made it an open source project in an attempt to crowdsource more visualizations for Power BI. I’m looking forward to watching how well this strategy works out for Microsoft. As much as Microsoft is trying to catch Tableau with Power BI, I personally don’t see this as an apocalyptic battle where one will emerge as the victor. 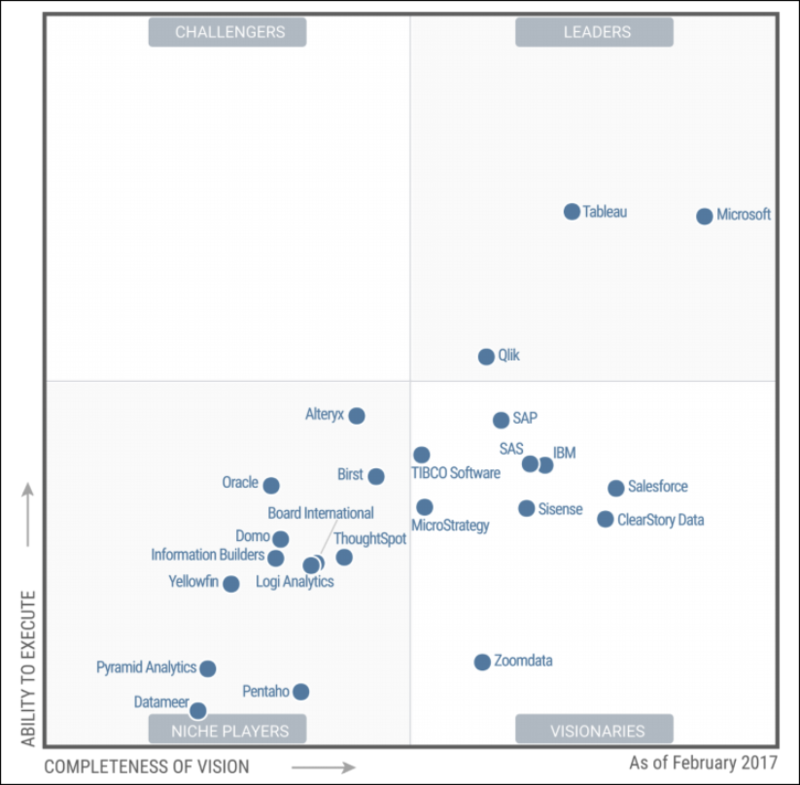 I think that Tableau will remain the king of visualizations in the future, but Power BI visualizations will be good enough. Where I see Power BI dominating is in the role of “Business Intelligence Gateway Drug”. I haven’t mentioned “Business Intelligence” (or “BI”) in this post yet, but it is essentially the term used to describe the combination of the Data Visualization Engine and the Calculation Engine. 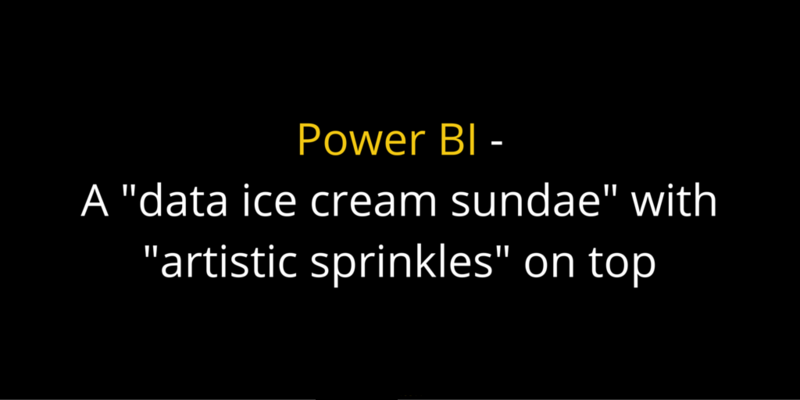 It’s the “BI” in Power BI. “Data Cow” reporting – big stacks of paper that clutter the desks of managers everywhere. Microsoft Excel reports that get manually created by “Excel jockeys” whose first few months at a new company consist of creating really cool reports. Then they spend their remaining years at the company manually re-generating those reports whenever someone wants to see up-to-date information. Power BI solves both of these problems. But 1 GB is enough to “get you hooked”. 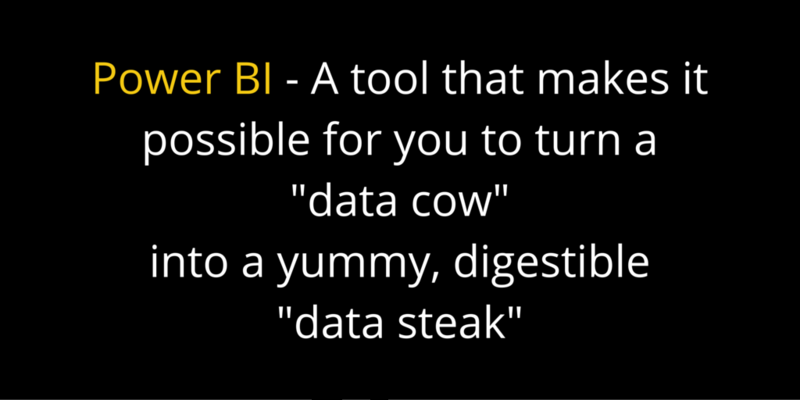 That’s why I like to say that Power BI is a “Business Intelligence gateway drug”. So, in conclusion, I encourage you to try out Power BI with your Acumatica data. It’s free, you have nothing to lose.